We put together this guide to help you to not only learn more about monofilament and where it is your best bet, but to help you to figure out what type to you, how to choose your line colors, how much you need, how often to change it, etc. Our ultimate goal is to help you spend more time fishing. We have tried to order the from most basic to more advanced. This is so everyone can get started with this guide. If you know something already simply keep scrolling. Anyone can get started with this guide, but only those ready to make a commitment to spending more time fishing are going to get what they need out of it. 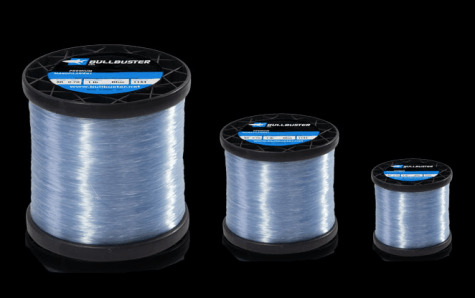 When you are around structure monofilament’s thicker diameter comes in handy, it means that it can take more of a beating while maintaining more of its strength. If this is important to you, you may want to use a heavy leader topshot, or even a wind-on leader. If you are an intermediate to advanced fisherman you may consider using our hollow core braid to adjust your seamless leader length with ease. We strongly recommend a monofilament topshot for land-based shark fishing. We also recommend only kayaking your baits out to expose your monofilament to the water and use your braid as your secret backup. Monofilament line is a hell of a lot more abrasion resistant than braid. When fishing for sharks from the beach, there is often a lot of structure to provide abrasion against your line. There is always something, it can be the reef, rocks, crab pots, and even the constant grinding of the sand against your line. For this reason it is always good to have a fresh mono topshot. This topshot should be replaced on a regular basis as the elements their toll on the line. There are also lots of toothy critters out there such as blacktips, and blue fish that may cut you off. Getting cut off with mono will put a much smaller dent in your wallet. 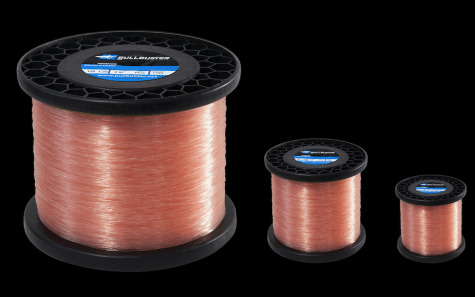 + What Is the Best Color Monofilament Fishing Line To Use? Everyone has their preferences when it comes to fishing line, so instead of telling you which line color is THE BEST! We decided to come up with a guide that tells you the trade offs between the different colors and different situations where one line color might be better than the other. The name "hi-vis" says it all. There are many situations where your hi-vis lines can prevent you from getting a bite because the fish can see your line more easily. We recommend always using either a long mono leader our fluorocarbonwhen using hi-vis line. Register your reels with us so that we can help recommend you lines, or try our braided backing and mono topshot calculators to do it yourself. 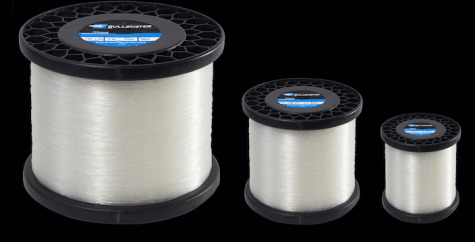 We also have a handy tool to help you figure out how much monofilament you need for your reel. We are ready to help you spend more time on the water with our brand direct monofilament lines. + How Often Should You Change Your Monofilament? This is a question we often get from customers. Our best answer really depends on how much you go fishing. 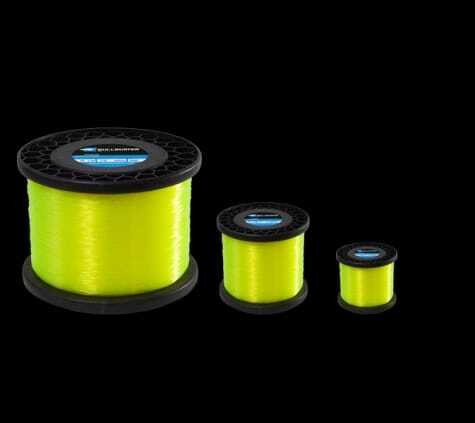 In your closet, without sunlight (UV rays are your monofilament fishing lines worst enemy), your line will last for years. On the water fishing and out in the sun, your line has the opportunity to get plenty of sunlight, as well as rub against any number of objects while you are fishing. If you are an active fisherman, or weekend warrior meaning you are fishing at least 4 times a month, we recommend that you change your mono at least once every 6 months. To get the best performance out of your line, be sure to store your rods out of the sun, as well as rinse them to rid yourself of any excess salt after each use. We can think of three specific times when you should be changing your mono more than once every 6 months. 1) If You Are Fishing Heavy Drag - If you are fishing more than 20% of your mono's rated strength and have fought several fish for extended periods of time, you may want to re-spool your reel after several of these big fish. 2) Do you fish every day? - If you are a charter boat mate, or are fishing 10-15 days a month, we recommend that you change your line a little bit more often. At this rate, you should be changing your line every month or two. 3) Are You Fishing A Big Money Tournament? - If you are fishing a big money tournament and the money is literally on the line, you should be changing your mono more often. There is literally no way for you to keep your eye on the whole length of mono for each reel, you should be feeling for any markings or kinks on your way in from fishing, and replacing any line that has even the slightest damage. If you are trying to get your bait deep with very little weight, or very little scope, monofilament is not your best bet. Pull out the braid here! Mono like mentioned in other places on this page is neutrally buoyant unlike fluorocarbon and braid, and has a thicker diameter than braid, these qualities do not aid you to get your bait deep quick. + Do You Need 1000 + Yds Of Line? There are some situations where you are just going to need a LOT of line. This is an instance where you are going to want to add some braid to your reel instead of just mono. If you are trying to scale down your tackle and need line capacity, this is one time where it will be a good idea to add some braid to the mix.